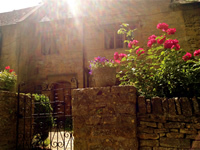 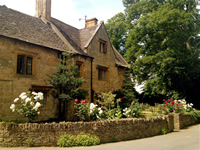 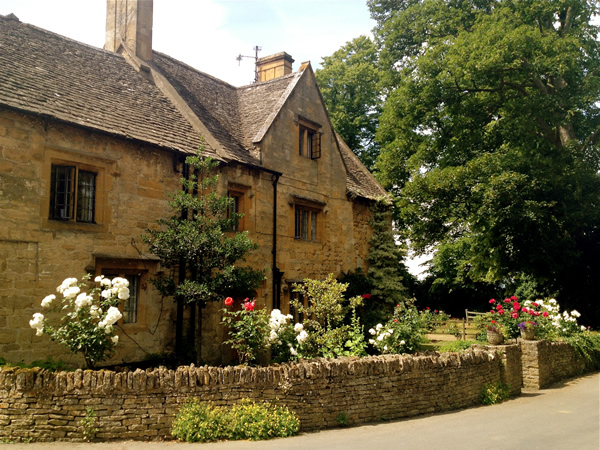 In the picturesque Cotswold village of Stanton, a few miles from Broadway, Jill Carenza (formerly Gabb) has been offering riding, and Bed & Breakfast in her 17th century Cotswold stone house, The Vine, since 1975. The riding includes lessons, as well as splendid hacks, for all levels of rider: with over 50 well-schooled horses, Jill has the right horse for you. There are also ponies for children. 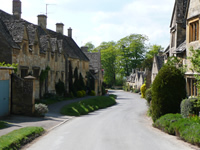 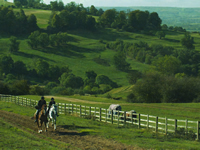 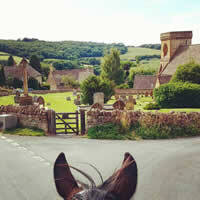 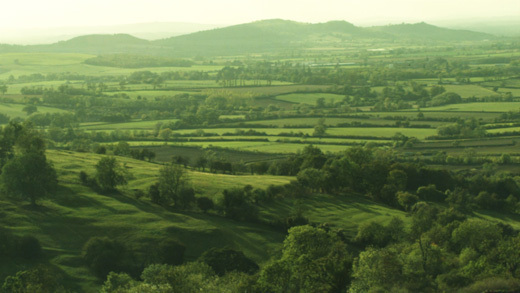 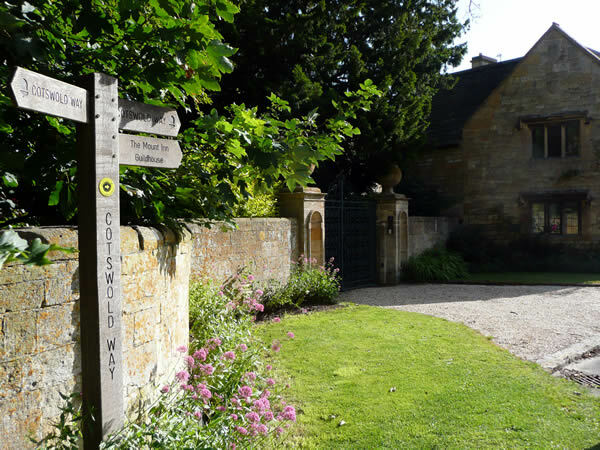 There is plenty to do besides riding: The Cotswold Way footpath runs right past The Vine; golfing is available nearby; and Bath, Cheltenham, Chipping Campden, Oxford, Stratford-upon-Avon and Stow on the Wold are easily reached. 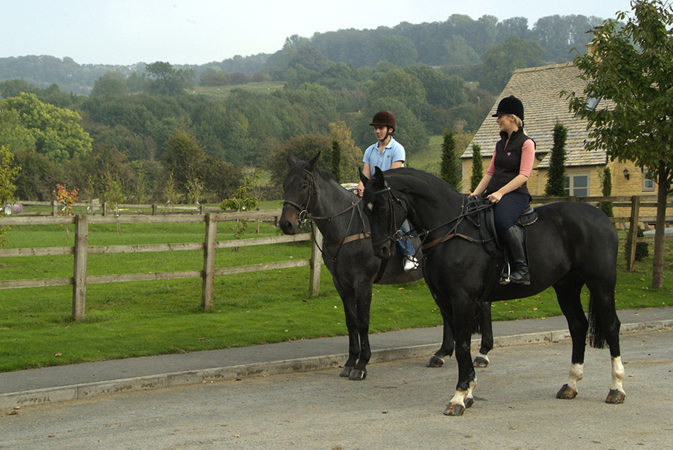 The riding centre and Bed & Breakfast are open year-round. 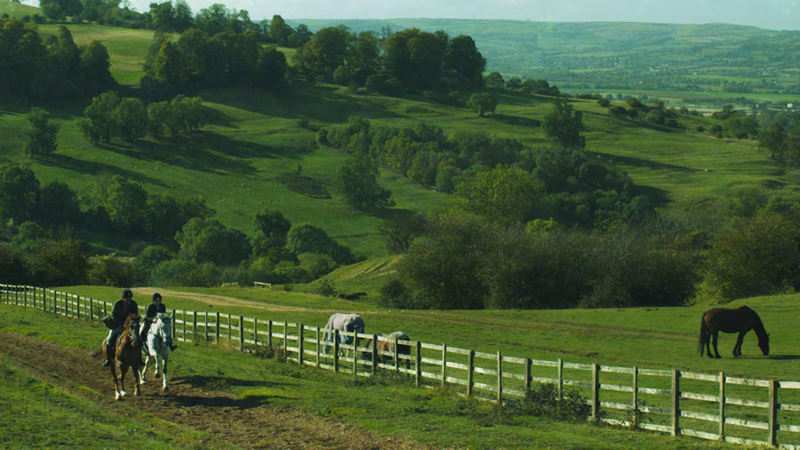 Each season in the Cotswolds brings its own pleasures. 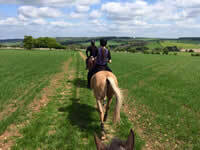 We specialise in accelerated learning. Born in Gloucestershire, Jill Carenza began riding before she could walk, and rode to school at the age of five. 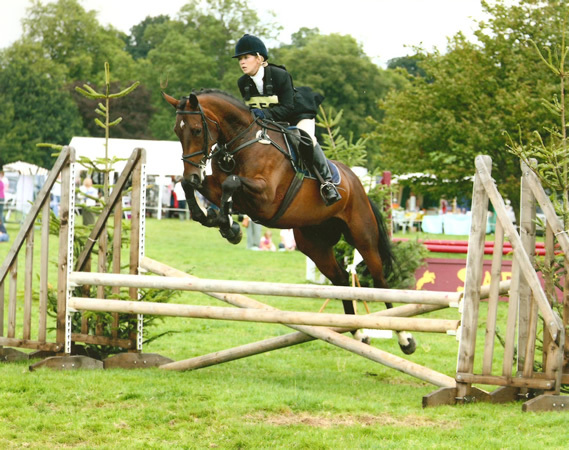 She competed at advanced level but her first love has always been instructing. 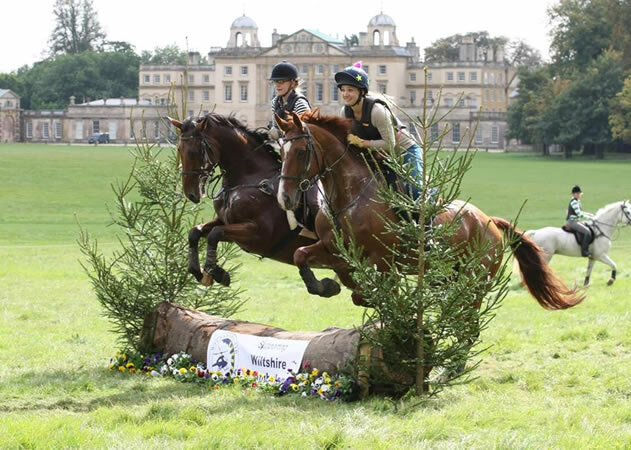 Jill helps each rider achieve their personal goal - be it eventing, cross-country, or just hacking out confidently - in an accelerated fashion, with her unique blend of challenge and encouragement backed up by the selection of horses and training facilities. 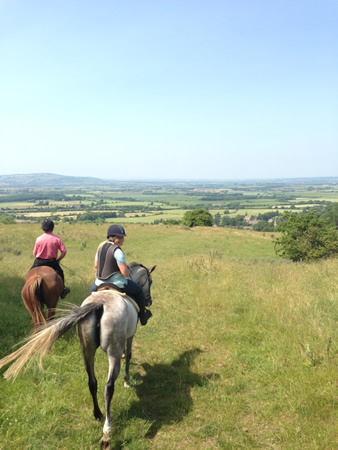 Most riders have been amazed at their rate of progress.